Families these days seem to be drifting apart at an alarming rate. Parents often work overtime or have more than one job just to make ends meet. Children and teens are involved in a myriad of activities which keep the family running hither and yon. Why not plan a weekend of miniature golf? It’s fun for the whole family. Miniature golf, or putt-putt, was very popular in the past and seems to have fallen by the wayside. Recently, however, miniature golf is making a comeback. It’s a great family activity which can be played year round depending upon where you live. 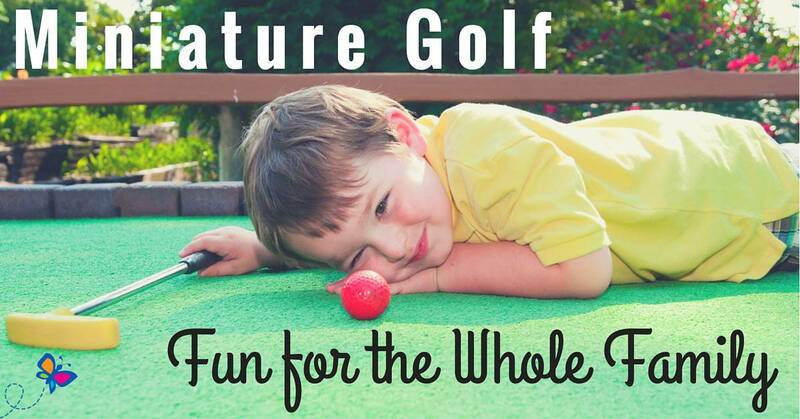 Unlike traditional golf, miniature golf can be played by the entire family. Adults and children play together on the same course. It’s a great way to reconnect with your children and can be a whole lot of fun for the whole family. There is no need to be a miniature golf professional. The point is to spend time together and enjoy yourselves. Each miniature golf course is different and has specific challenges to meet. With practice and perseverance you’ll soon be able to get your ball through the windmill and into the cup inside. Where do you find miniature golf courses? You can look in the local telephone book under “Golf Courses.” They should have miniature courses listed separate from full-size golf courses in the yellow pages. If you’re lucky, you’ll be able to find more than one putt-putt business in your area. If not, you may have to expand your search a little further away from home. You can also look on the internet to find miniature golf courses within driving distance. Larger cities may have several to choose from. While you’re looking on the internet, be sure to pay attention to the individual websites for each course. They may have photographs of their courses, an explanation of the amenities (game room, grill, etc. ), and a list of rates. You’ll also want to pay attention to the skill level of the courses. This is particularly important if you have very young children. Try to find a miniature golf course which has games everyone will be able to play. Look for a miniature golf course which has different challenging shots rather than simply flat surfaces with curves or corners. Better miniature courses will begin with easy shots and progress to more difficult ones. This will give each person a chance to sink some of the easier ones and get better as they continue to play each subsequent hole. If you can’t find a suitable miniature golf course nearby, why not set up some holes in your yard? Pick a level spot in the yard, dig small holes to hold a 4-inch pot, and mow the grass extra short around each hole. Place borders leading up to each hole and make them a little harder to sink. Miniature golf is fun for the whole family. Gather the family together and make plans to try your hand at putt-putt soon. You’ll all be glad you did!